I blew the innards out of a dozen eggs and ended up with a mason jar full of egg guts. The pugs have been feasting on scrambled eggs with their chow. 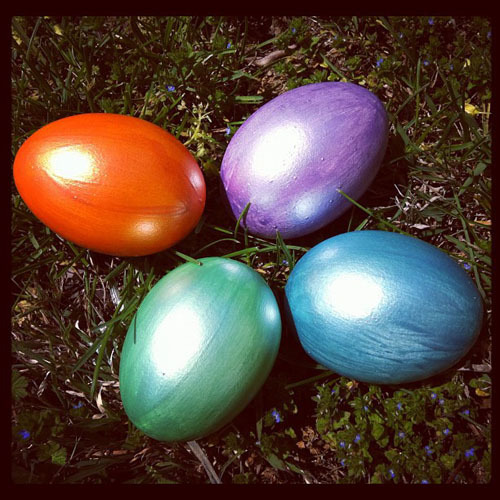 This year I painted eggs with Martha Stewart's pearlescent paint. I wanted to do glitter but I wasn't ready to have glitter in every nook and cranny so soon after the Xmas glitter extravaganza. What is that blowing-outtie-contraption thing? I need one! 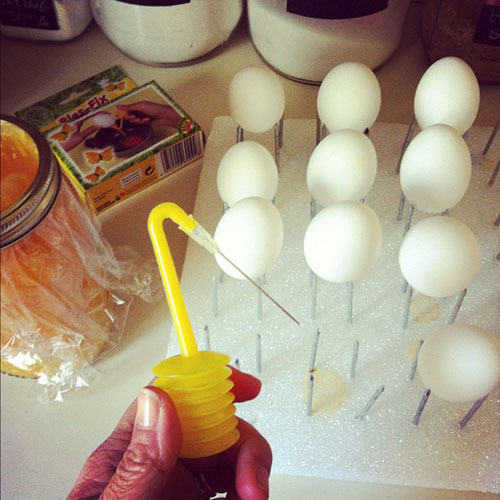 I highly recommend the egg blowing contraption. Comes with a mini drill for making the hole then makes blowing the guts out sooooo easy!